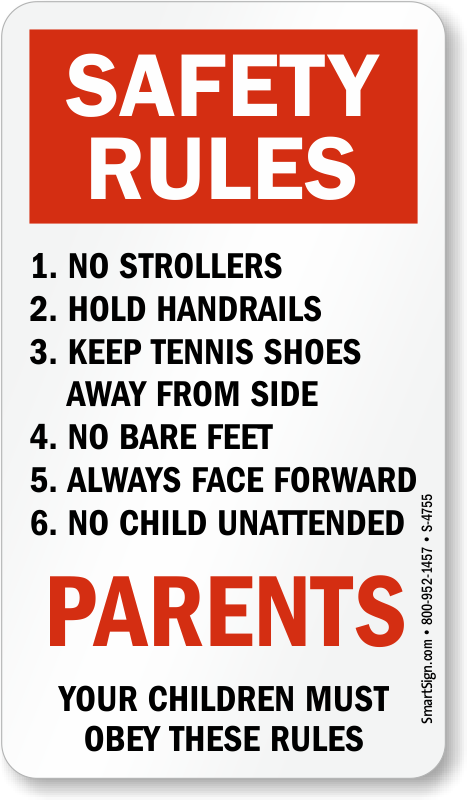 Hold the handrail! 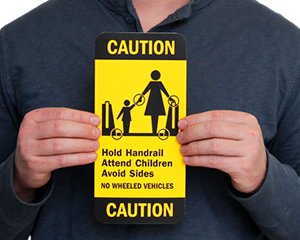 Help prevent accidents. ANSI compliant labels are hard to miss. 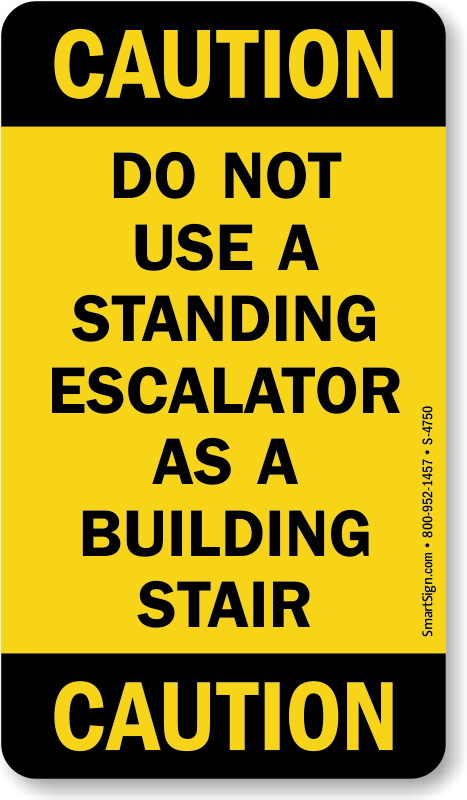 Remind your customers or riders of the proper procedures when operating an escalator, and keep them safe! 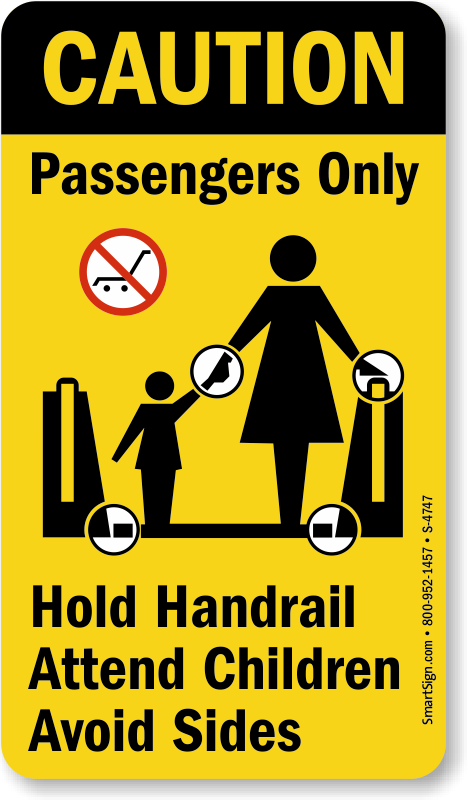 • Symbols are easy to understand and reinforce your escalator safety program. 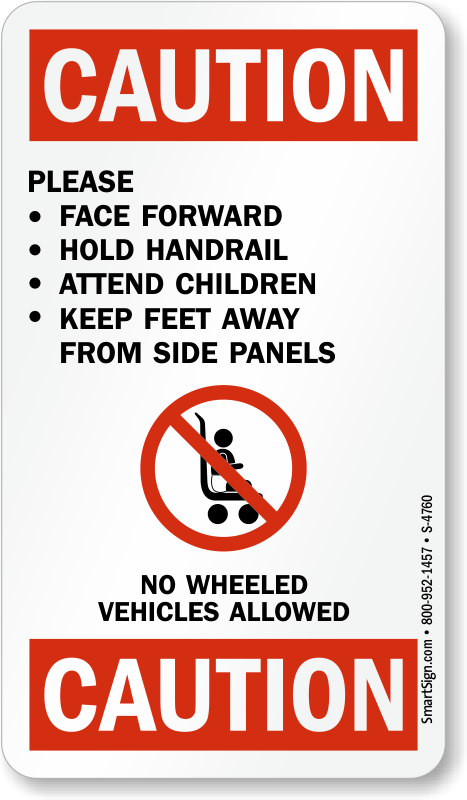 Labels help educate your customers and users; this is a vital step in reducing your accidents and possible liability exposure. 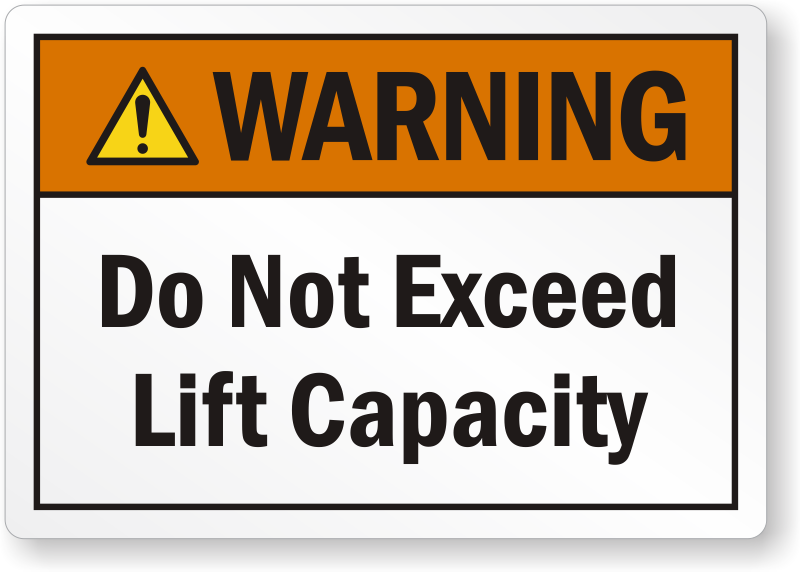 • Labels comply with ASME A17.1 standards.